After Polaroid manufacturer C&A Marketing Inc. sued GoPro for copying the Cube’s design last year, GoPro is turning the tables, saying that it’s the Cube that is using GoPro’s patented technology. In a lawsuit filed Tuesday in the U.S. District Court in the Northern District of California, GoPro alleges that the Polaroid Cube copies two patents owned by the action-cam giant. GoPro says that the design of the Polaroid Cube also infringes on its own case designs. While the Cube emerged over a year before GoPro released the square Hero4 Session, GoPro filed a patent for a waterproof case for a square-shaped camera back in 2014. The early case patent was one of GoPro’s arguments when they were on the receiving end of a lawsuit from C&A. 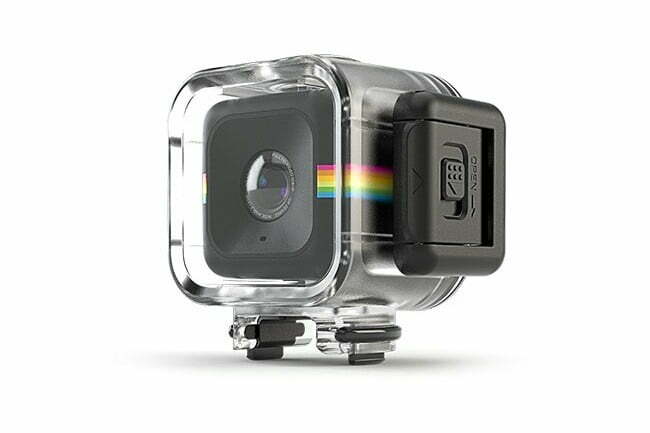 In November of last year, the Polaroid licensee sued GoPro for copying the Cube with the Session. The original Cube was released early in 2014, with the Cube+ (which has Wi-Fi) introduced last year. The GoPro Session was released in 2015, a year after the original Cube. But at the time of the initial lawsuit, GoPro said that it had patented the Session in the European Union and Asia, with a patent pending in the U.S. The case patent from 2014 shows that GoPro was working on a cube-shaped camera before the Cube was available, the company claims. GoPro’s lawsuit claims Polaroid infringed on its patents, including one for an underwater housing. Last year’s lawsuit was a hit to GoPro, who had already been suffering from lower sales and a falling stock price. And the Session, at first launch, had very disappointing sales — likely due to the fact that the firm priced the lower-quality camera at the same point as the full-fledged GoPros. GoPro has since cut the price in half, selling the Session for $199. The Polaroid Cube, in turn, sells for around half of that.